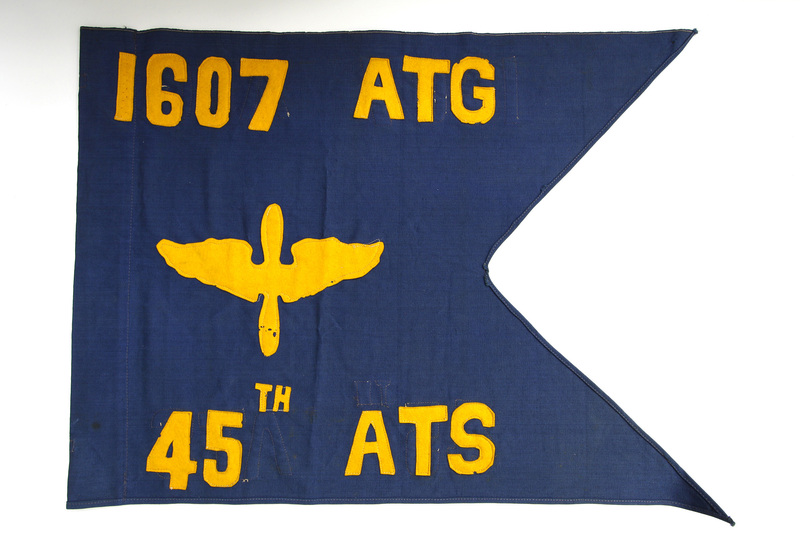 The 1607th Air Transport Group (ATG) was active at Dover AFB, Delaware, from 1954 to 1964. 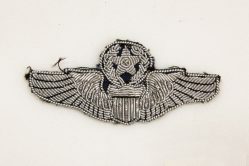 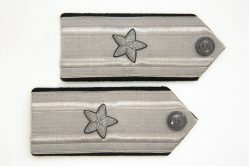 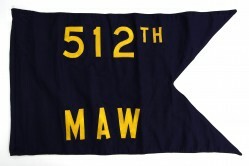 The 45th Air Transport Squadron was assigned to the 1607th ATG in 1954. 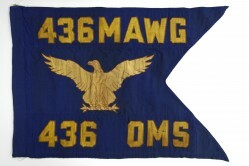 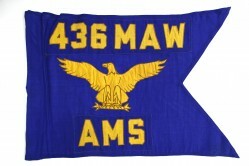 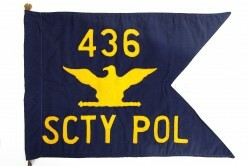 This older guidon is dark blue fabric with a stitched-on, yellow wool felt prop and wing insignia in the middle and yellow felt lettering.